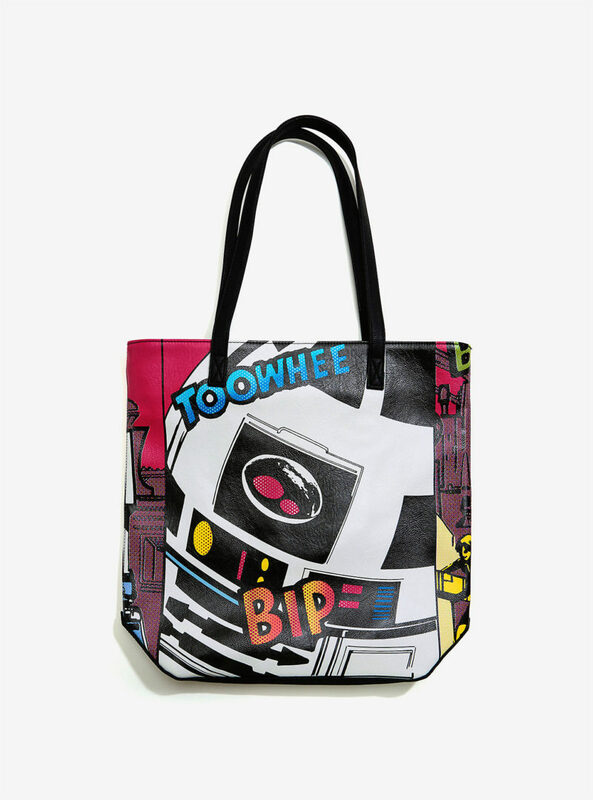 Box Lunch has a new Loungefly x Star Wars tote bag available. 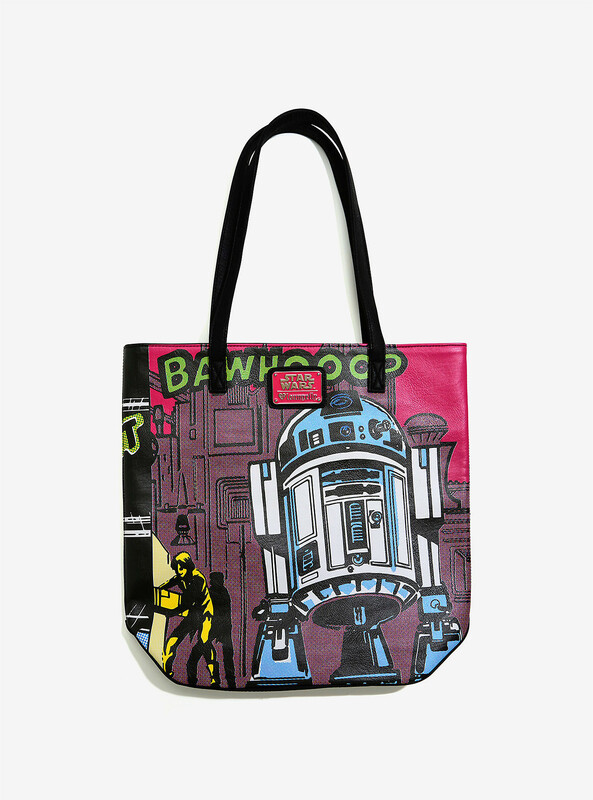 First previewed at the WWDMagic trade show back in February, the new R2-D2 comic tote features classic Marvel era comic book artwork on both sides, in fabulous bright colours. 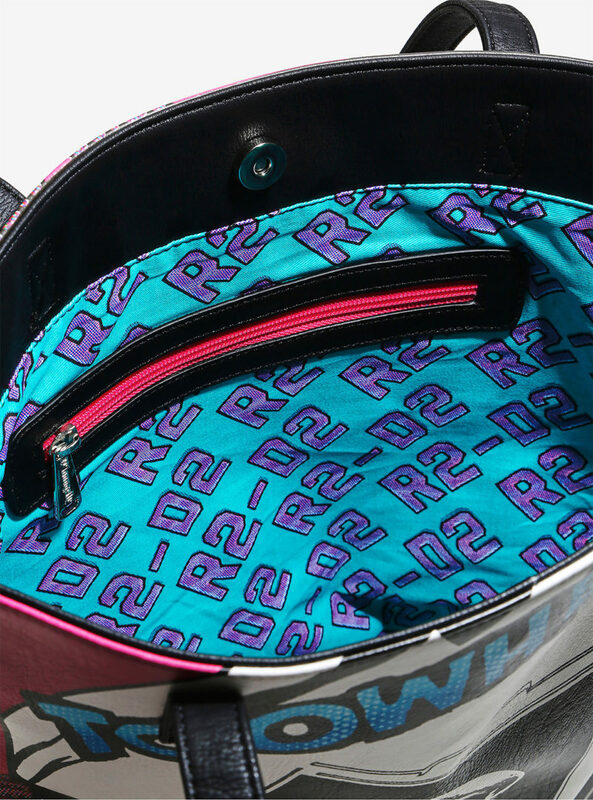 Inside there is a zip-up pocket (with pink zip), while the bag interior is lined with blue fabric with a repeating purple ‘R2-D2’ text design. I absolutely love the bright pink tones of this bag – even the classic metal Loungefly x Star Wars logo plaque is accented with pink enamel! 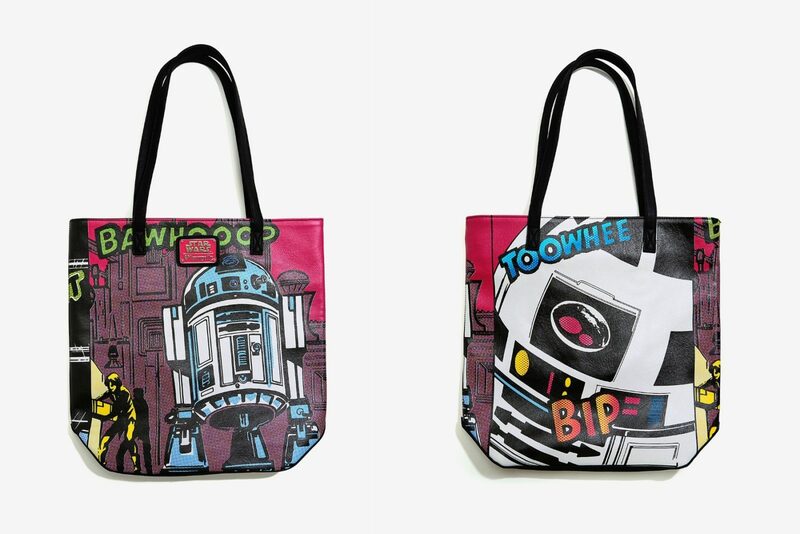 Box Lunch has this tote bag priced at US$74.90 each – but it is currently on sale for only US$56.17 each. Box Lunch can ship internationally, which is great. You can carry all of the messages you must decode in this tote and then some. The outside features a comic print of R2-D2 and the inside has R2-D2 printed lining. 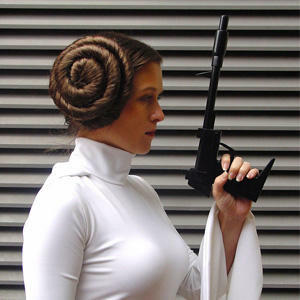 Next Post Her Universe AT-AT cardigan preview!